The High Country is Waiting For You! Alleghany County is know as the ‘Unspoiled Province” because of its’ preserved scenic beauty and relaxed, peaceful lifestyle. It is located northwest of Winston-Salem and is nestled between the New River and the Blue Ridge Mountains along the Virginia border. The elevation affords expansive scenic views and is marked by mild winters and cool summers. Second homes and retirement homes are common in Alleghany County. 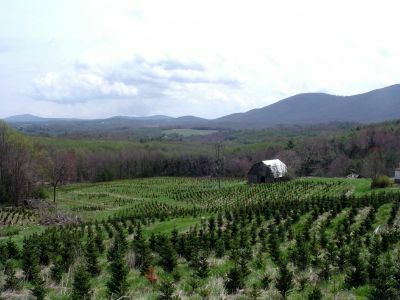 Agriculture is still the mainstay of the county with “Fraser fir” Christmas tree farms and beef and dairy cattle farms. There are no 4-lane highways in Alleghany County. Besides the Blue Ridge Parkway, there are several parks, golf courses, camping sites, biking routes, fishing locations, music concerts, and of course – the New River (National Scenic Designation) which offers camping, canoeing, kayaking, tubing and fishing. If you’re interested in Alleghany and you’re looking for a recreational/hobby farm, a home with acreage, a rural land tract to build your dream home, or a great home in one of Alleghany’s small communities, call Carolina Farms & Homes. Listing and selling properties like these is our specialty and niche. Give us a call.